The Lord Bishop of St Albans: The Minister has already referred to the EFRA Select Committee report, Future Flood Prevention. One of its recommendations is the imposition on developers of a statutory liability for the cost of floods where those developments have not complied with planning regulations or the local planning situation, thereby causing additional flooding. Does the Minister agree with this eminently sensible suggestion, and will Her Majesty’s Government adopt it? 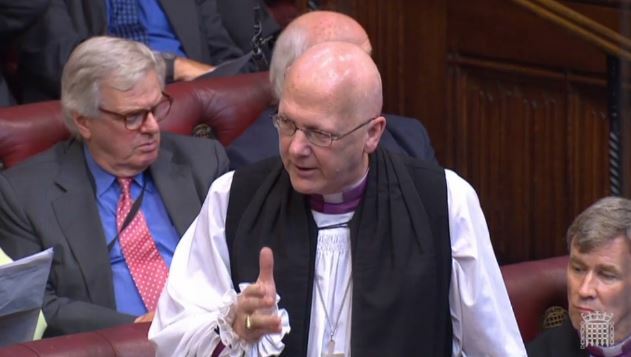 Lord Gardiner of Kimble: My Lords, what the right reverend Prelate said is interesting and important. With the need for more housing and development, we must ensure that flood protection is very much considered. I will need to reflect on some of the detail of what the right reverend Prelate said. In terms of planning, although London and Hull are all parts of flood plains, we need to ensure that we do not develop where there is a danger of floods and we must have defences.